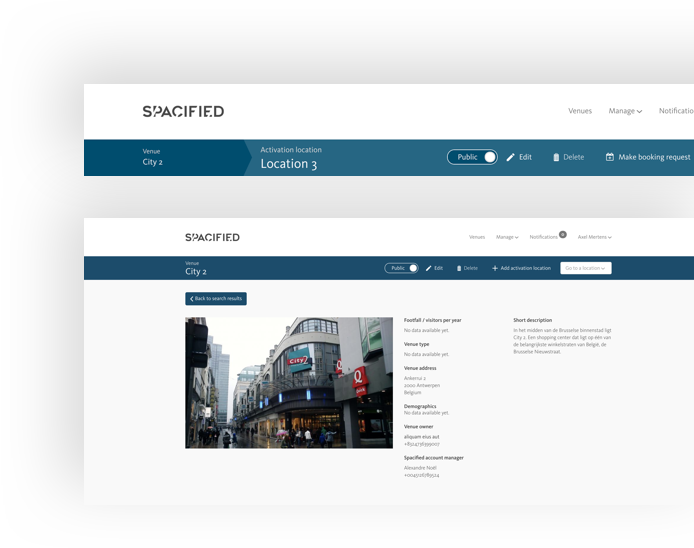 Spacified is a specialist media company that manages live media locations for high footfall and destination venues. Marketing and selling event, activation, speciality leasing and pop-up locations at a wide range of high traffic consumer venues. 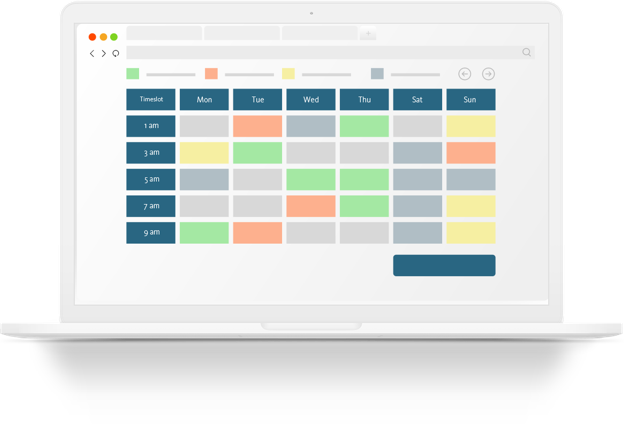 To automate their business processes and improve their customer services Spacified came to Artcore Society to design and develop an activation booking platform. A slick and straight forward digital tool was the outcome of an ongoing collaboration! On the platform owners of venues can register and put their venues and locations up for booking. 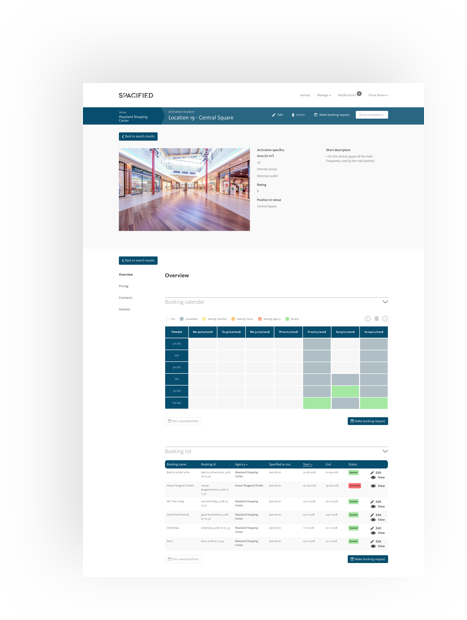 A venue owner can register multiple venues with multiple locations, and even add their employees to the platform so they can manage the platform activity. … and to book activations, promo’s & more. Marketing and activation agencies can register on the platform as well. They don’t own venues, but can search and look at all the available venues and locations. Via a custom booking calendar agencies can easily view the availabilities to book a certain location for their actions. Easy to use and fully responsive! Great UX and usability plus an organised booking flow makes sure everything runs smoothly, while Spacified can keeps an eye on things. Every partner of a booking is informed properly via platform notifications and e-mails. Thanks to the fully responsive design everything can be viewed and managed on-the-go!